Awakening: The Goblin Kingdom Collector's Edition is rated 4.6 out of 5 by 52. Rated 5 out of 5 by Setsunachan from Another Amazing game in the Awakening series In keeping with the series theme it picks up right where Moonfell Wood leaves off so playing previous games is highly recommended. One of the things I like about this installment to the series is that the story takes a more dramatic turn. As with the other games they continue to provide stunning graphics and calming music. The puzzles are hard but not impossible and I'm glad I got the collectors edition the extras were worth it. 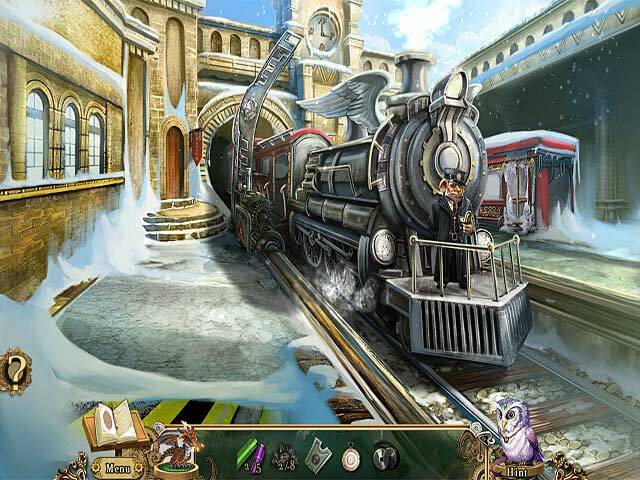 Rated 5 out of 5 by AliceHatter from Extremely enjoyable Fantasy Hidden Object Game We loved playing this snowy princess game and will be purchasing the other two games in the series soon. Plenty of challenging puzzles, good link in with goblin characters and a good level of interaction maintained. Only suggested improvement would be more animated scenes. Rated 5 out of 5 by jivins11 from This series is getting better and better! My favorite Awakenings game so far! This is the third installment and you can tell they've learned a lot from the other games. Lots of different types of puzzles. Interesting plot. My only complaint is the screens took a hair longer to load than I think they should have. Great game for kids or adults! Rated 5 out of 5 by pennmom36 from Awakening's First Collectors Edition! This is the third game in the Awakening series and the first one available in a Collectors Edition. This upgraded version has extra features such as Concept Art, Wallpapers, Cut Scenes, Soundtracks and the CE most notorious feature, Strategy Guide, but you have to access this feature through the menu button. Sophia awoke from a 100 year slumber in The Dreamless Castle, she traveled to Moonfell Wood trying to find her people because mankind is nowhere to be found. It is there that she meets a witch who explains that only the Goblin King has the answers she seeks, so here we are in Goblin Kingdom! Our Pocket Dragon is still with us lighting fires and melting ice and getting his belly full of mossflowers, sooner or later we are going to have to give him a name! Mira the fairy has been replaced by Randolf, A.K.A Ran, who is perched upon our shoulder to help us find items or tell us which way to travel next. There still aren't any voiceovers, so you will have to do a lot of dialog reading. As with all of the Awakening games there aren't too many hidden object scenes but there are a ton of puzzles and mini games including Tangram which are different triangular shapes that you need to rotate and place into different larger shapes. There are puzzles which require you to fit several different shaped pieces together, Match 3 games, Spot the Difference and many more fun and enjoyable games so add this game to your to do list and enjoy the game. Rated 5 out of 5 by AbundantAthena from Absolutely worth it The collector's edition was an amazing and fantastic adventure! Rated 5 out of 5 by Italia47 from Enchanting fairy tale in fantasy land! Loads of fun! I bought the CE and I'm at the epilogue of this game and I must write that this game is cute, yes, with its goblins and lil animals here n' there, pocket dragon and the hint owl, which I didn't really need, but there is a journal and you have goals to reach. No map, a myriad of puzzles and things to do and actually there were more minigames than HOS but that was fine by me. You really get your money's worth in this game. The artwork was beautiful, cartoonish-like, but lovely, nonetheless. The narration by the princess was wonderful, and the rest of the communication was via text. As much as I love VOS, sometimes, they're long and drawn-out or overacted at times. A well-developed, extremely clever game. I recommend it. Rated 5 out of 5 by dawnhiser from Wow I have only tried the trial version, but I am on my way to go buy it !!! I have to play all of this one. Great story and graphics, and nice job on the creatures. This will be one of the great ones!!!! Rated 5 out of 5 by sapoe from memorable for me! Just two words, LOVE IT!!! I really enjoy this game from beginning 'til the end. Also all of this series is one of my favorite games I ever played! Thank you Boomzap for making this beautiful yet amazing game! I adore your gorgeus graphics. Good job, dev. Rated 5 out of 5 by Gameritis50 from A highly recommended part of the series... This is a great game, and will surely keep you entertained. 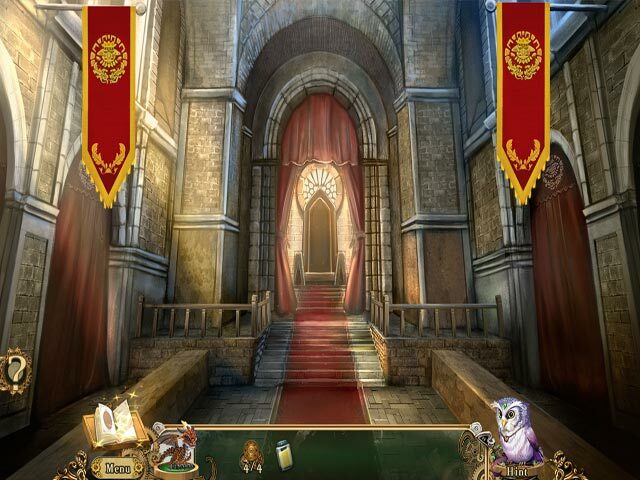 The puzzles are fairly easy, and when you finish, you will want to play the rest of the series of awakening as I did.